BENEFITS: Improves flexibility in the hips, tones the abdominal muscles. CONTRAINDICATIONS: Do not practice if you have SPD – Symphysis pubic dysfunction. As with all poses of the week – if something doesn’t feel comfortable – don’t do it for now…. 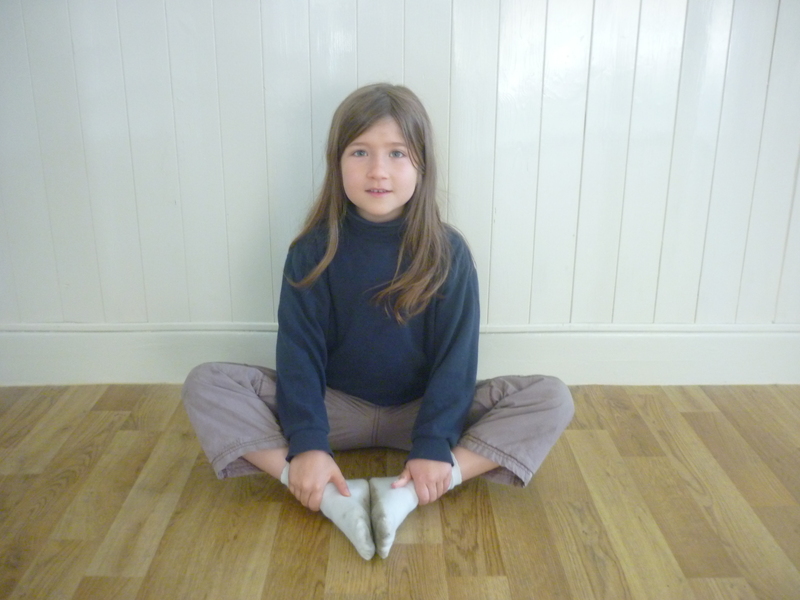 PRACTICE: Begin by sitting on the ground with the knees bent and the soles of your feet together. Allow your pelvis to be heavy and relax your hips…The feet will begin to unfold like an open book. If it feels an effort to keep the body upright, then place part of a cushion just underneath the tailbone. If the knees feel too heavy – place some cushioning underneath them for support.